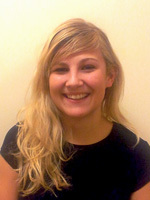 Lara studied Sports Therapy at the University of Hertfordshire and graduated with BSc (Honours) in 2008. During her degree she spent time working at a Police Rehabilitation centre in Reading, as well as providing sports therapy and massage to players at Luton Town Football Club. More recently she has continued her academic development completing a Masters in Dance Science at Laban, a contemporary dance college in London. Lara aims to work closely alongside professional dancers, guiding them through injury rehabilitation and is very passionate about dance. Since 2010 whilst completing her Masters, Lara has gained vast clinical experience working as a sports therapist at clinics in Hatfield, St Albans and Welwyn Garden City. Lara is also the lead Sports Therapist for the University of Hertfordshire Hurricanes American Football team; this opportunity provides a diverse range of injuries and problems, which she has successfully dealt with over the past 4 years as lead sports therapist to the team. Lara has also worked with a wide variety of sports from rugby to volleyball providing pitch side first aid. Lara firmly believes that the key to good rehabilitation from injury is in understanding your body and how it works as a whole; she aims to not only professionally treat or manage the injury, but to provide the client with relevant information on the theory behind their problem. Lara feels that if patients understand their own injury and reasoning behind the treatment, this helps patients achieve their goals and get back to full fitness. Lara comes from a strong sporting background, her passion lies in dancing, having done this from an early age. She has dance a variety of styles over the years such as ballet, modern, contemporary, hip hop and rock and roll and has danced for two contemporary companies. She has since branched out into cheerleading during her time at University and has competed both nationally and internationally with her University squad. More recently she has been a Sensations Cheerleader for Saracens Rugby Club. She has also had a role as a fairy in a high profile party in Dubai last year and is looking forward to dancing in the opening ceremony of this year’s Olympics. In addition to this Lara is excellent with children and adolescents and has a NVQ in childcare as well as having worked with children’s activities groups for years, so is an excellent choice if your children get injured and want to get back to full fitness. F. Gargiulo, GB Lions American Footballer.